Take advantage of our spring sale by using the coupon code SPRINGSALE at checkout. 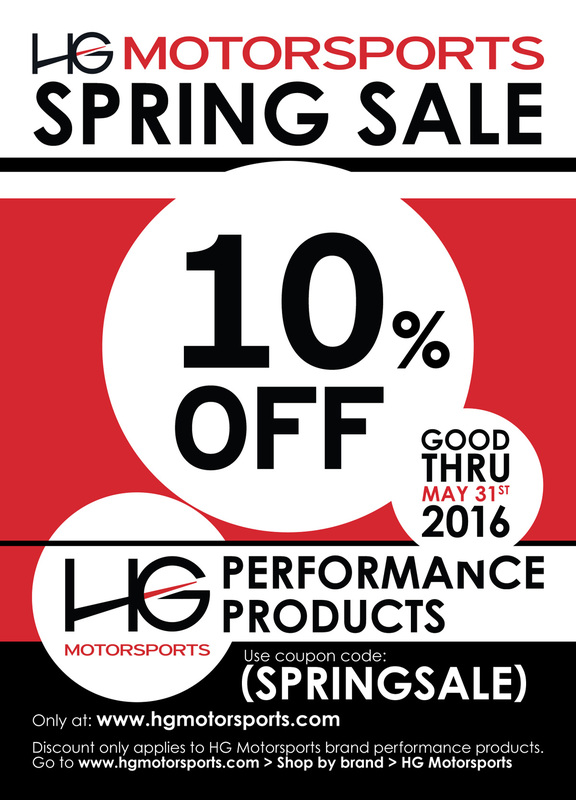 Valid on HG Motorsports brand of performance products for Mercedes-Benz CLA, GLA, A, B and GT... as well as roll bars for the Nissan GT-R and BMW F82 M4, E90/92 M3. Take advantage of it now!